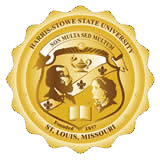 The Harris-Stowe State University Department of IT Services has long-standing commitments to vendors that have obtained IT service-and-equipment contracts with the State of Missouri. Vendors are encouraged to contact the State of Missouri to obtain more information about information technology contracts and bid processes. More information can be found on the State of Missouri Office of Administration Web site at http://oa.mo.gov/purch/. The HSSU Department of IT Services is currently not taking unsolicited calls from vendors offering products or services in these areas. Again, vendors are encouraged to seek more information about how to pursue State of Missouri contracts through the Office of Administration.